Located on the east side of Tacoma, Puyallup Reservation, the Tahoma Indian Center has met the basic needs of low-income and homeless Urban Native Peoples for more than 20 years in a safe, warm, peaceful and drug- and alcohol-free environment. 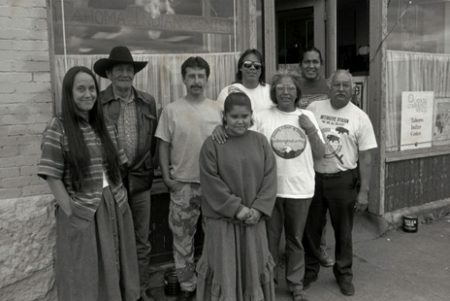 The purpose of the Center is to restore and sustain the dignity and culture of Urban Native Americans in Pierce County. The Tahoma Indian Center is open Monday through Friday, 8:00 am to 4:00 pm. Provide a safe, warm friendly, peaceful, respectful drug and alcohol-free environment for Urban Native American Indians. Provide coffee and a daily meal Monday-Friday. Provide referrals to needed social services such as housing, food, clothing, employment and training, legal services, education and counseling. Provide referrals to culturally specific services such as tribal registration, pow-wows, education and training, employment services, counseling and healing circles. Provide a site for native cultural/spiritual ceremonies and activities. Provide for basic needs such as food, clothing and referral to shelters and housing programs, a mailing address and phone messages. To view or download the Tahoma Indian Center brochure, click here.